Google can reorder search and news results from the last day, week, a few months, or entire year by adding a small string to the end of the search URL. Just add this string &as_qdr=d to the address bar and hit enter. You'll get a custom drop-down box that lets you re-order results based on date. It's great for getting past the same top results you've already looked through, as well as grabbing only the newest links related to gadgets, software, or whatever else you're searching. Filtering google searches by time periods has been one of the most frequently requested features. By manipulating the search url, you can trigger google's filter by data dropdown box to appear. With this drop down box, you can easily select what time dates you want google to filter the results. 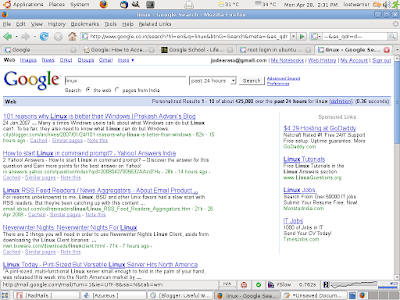 First goto google.com and search for your search term. I'm going to use "linux" as my example. 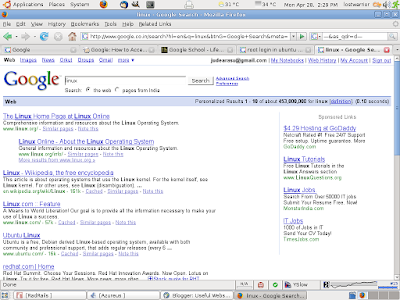 I receive the highest ranked searches all-time for linux.